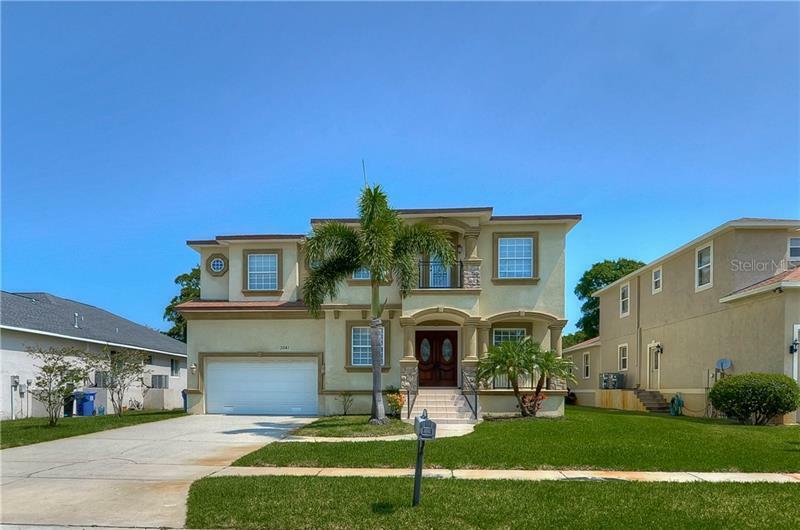 Fantastic 3 bedroom 3 bathroom block home in desirable Belleair Beach! This concrete block 1900 sqf home is spacious and bright. Split bedroom plan. Living room with a fireplace opens to the kitchen and enclosed back porch. Master bedroom offers double closets. Oversized garage with circular driveway. There is another driveway by the front door. Corner double lot opens lots of possibilities. Large fenced back yard is a great retreat with its palm trees and other tropical plants and has plenty of room for a pool. Great location – just walk across the street to white sand beach. Easy access to the airport and short driving to restaurants and shopping.